A detail, a landscape, a line, only stain. 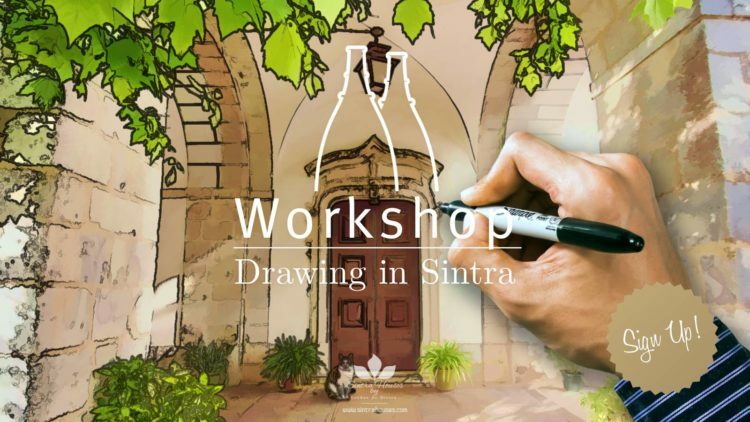 Sintra Houses by Lendas de Sintra® organizes another thematic workshop on October 13th, with a place in the inspiring Sintra Town. The proposal will be to awaken and guide the participants to the graphic arts, in particular with regard to visual design. To this end, Sintra Houses will be led by Professor João Miguéis, a plastic artist who teaches at ar.co school and who collaborates in the coordination of the arts department of the Summer School, at St. Julians School. The participants will challenge the creation of their own postcard of Sintra, from several emblematic points that they will find along a pleasant walk. The materials needed for the design will be provided by the organization. This is an event designed for all age groups, especially those who like to draw and who wish to learn about new materials and new techniques. The workshop will also allow Sintra lovers to discover new points of view and even to discover lesser known corners of this fantastic village. Sintra Houses invites you to learn a little more about one of the oldest art manifestations, to enjoy a relaxing and different experience, to know a little more of the wonderful Sintra. Access here all the details of the Workshop and the application form.